Your website is done. The design is gorgeous. The content is captivating. The SEO is successful and sending thousands of qualified prospects to your site every week. Unfortunately, those prospects come and go without ever picking up the phone or utilizing your contact page. Traffic to your website does not pay the bills, folks. "How will we convert anonymous visitors into engaged leads?" Website traffic is important, and obviously the more, the better. However, just because someone stops by your site doesn't mean they will buy from you now or in the future. Think about how many times you've window-shopped at your local mall. The challenge is that not everyone who visits your site is ready to buy. If you let them leave your site without collecting their contact information, you may never see them again. This is where "lead capture" comes in. Simply put, lead capturing allows you to usher prospects into your sales funnel, giving them more information on what they are looking for, and providing them with the opportunity to purchase. In addition, capturing emails or phone numbers gives you the ability to contact them later with special offers and new products. Lead capturing ensures that a potential buyer won't walk out of your "store" never to be seen again. A lead capture offers the visitor something (an "irresistible offer") in return for their information. The most important thing to remember to get website visitors to convert is to decide exactly what action you want your website visitors to take and instruct (or entice) them to do so. If the goal is to get them to make a phone call, ensure that your phone number is at the top of the website, easily visible for the website visitor to see or click on. The next most important part is to be clear in converting language. “Contact Us”--What does that mean? I want you to contact me? Do I contact you? Or am I asking you to take action? What action? What is going to happen when I fill out that form? Another mistake we see is website who are only set up to sell. Those who are not ready to buy yet shouldn’t be alienated from the website because we can always get their information and nurture them to sell when they actually do become ready. Does Your Website Have a Way for You to Capture a Lead? Your contact form counts as a lead capture, but it shouldn’t be the only lead capture you implement on your site. Not everyone who reaches your site is ready to raise their hand and make the plunge into a sales call. If not, you’re missing a huge opportunity to get leads inside of your sales funnel. If all you want them to do is “call for more information,” like in the days before the internet, you may be doomed in terms of generating the type of sales and profits fully available to you online. What Is Conversion Rate in Marketing? You may have heard the term "conversion rate" tossed around but not been entirely sure what it entailed. When someone visits your site, there is a next step that you want them to take. This goal (or desired action) can be classified as a macro-conversion like purchasing an inexpensive product on the spot, or signing up for a consultation, or it can be classified as a micro-conversion like inputting their email address or creating an account. A conversion rate measures how many people visit your site and how many people complete the goal you've created. The basic formula used is: number of times a visitors who complete a goal divided by site traffic. Now that you know what a conversion rate is, you'd probably like to improve it so you can sell more products and services. 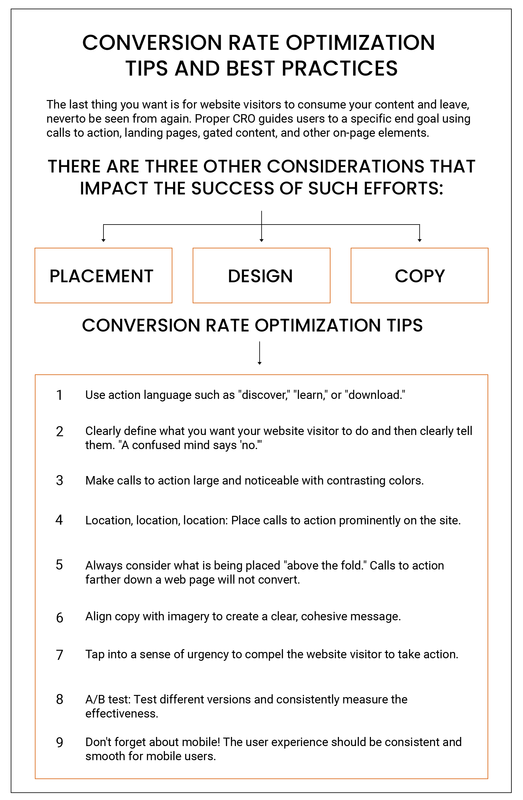 This is where conversion rate optimization (CRO) comes into play. CRO is understanding how visitors navigate through your site so you can systematically increase the rate at which they complete your desired action. Creating a free email course that provides useful knowledge to participants and requires a name and email address to access. At the end of the course, you can offer them registration to a more in-depth, paid version. You can advertise this event or product to your audience through social media and capture leads that have not yet signed up for your mailing list. Videos that present a problem your visitor is experiencing and then offers a solution. Stop the video right before you provide the solution and ask for contact information before they can continue. Or provide the methodology and ask them to sign up for a webinar that covers the tactics. Quizzes that test knowledge or ability. Who hasn't been drawn in by a personality quiz or the possibility of beating your friends at a game or test? If it applies to your business, offer snippets of a larger assessment and require that users input their email in order to get the results. Offering an e-book, a private consultation, a discount code for their first purchase, or a subscription to a newsletter with helpful tips for your industry. Downloadable content offers such as “How To” guides and whitepapers. A premium content offer (or other kind of offer) is something a website visitor is enticed to download or engage with in exchange for their email address and/or other contact information. If the offer is good enough and the process for filling out the form is not arduous, we can then use their email address to nurture this prospect from a lead to a sale. However, if they don’t hand over their contact information (and thus “convert”), either the offer is not good enough, you’re asking for too much information in the form, or the experience was a miss in terms of messaging or the process. What Is a CTA (Call to Action)? One of the most important pieces of your website (and often the most overlooked during the do-it-yourself design process) is the Call to Action or CTA. Not having a CTA on your website is just teasing your potential customers. You've convinced them that they need your product or service. Don't forget to offer them a way to get it. Now that you understand what a lead capture is and how to use CTAs to move your users to action, what mechanism can you use to capture the visitor’s information? Landing pages are website pages targeted to a specific audience that allow you to embed a form to get the information you need. These are specifically designed in a way that is conversion focused. 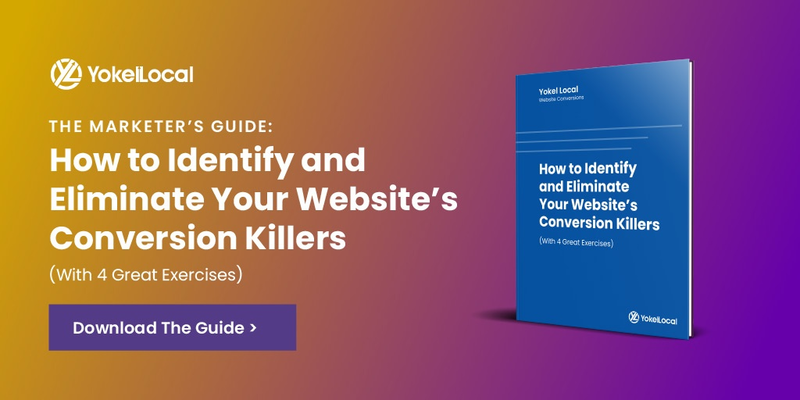 When you use a landing page instead of directing users to your homepage, you boost your conversions, improve conversion rate, and increase the likelihood that your visitors will engage and provide the contact info you want. You may have multiple landing pages depending on the products and services you offer. The clearer your messaging and call to action on each page, the better the conversion rate will be. Make it very clear what you want your page visitor to do. Avoid putting multiple links on this page. The user should understand that they are there to fill out a form and then move to the next step. Provide good content. Time is a valuable commodity. If you want users to look favorably upon you and come back for more in the future, you must convey the value of the offer. Whether you are offering an e-book, a video course, a tip sheet, or a one-on-one consultation, you must give them quality to keep them coming back. Keep your messaging short and sweet. The longer your page, the more opportunity users have to get bored or distracted and not complete your desired action. Give them exactly what they want and no more. Encourage Shares. Every user that stumbles onto your page has a network of people behind them. Create a share button on your page so they can pass the content along to their friends. If it doesn't work... change it. Always be testing. You've got users visiting your site and they are being converted to quality leads. But what do you do with the leads once you have them? Sales Enablement refers to everything salespeople need to engage the buyer and move them through the buying process. This can include information, best practices, or tools. 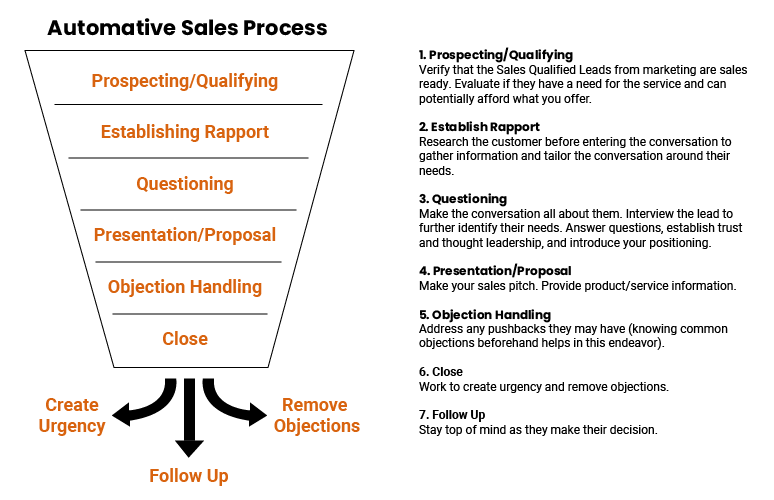 Pay attention to metrics such as average deal size, average length of a sales cycle, etc. When you utilize sales enablement in your business, you increase the likelihood of every member of your sales team meeting their goals month after month. It provides all of your sales people with the knowledge and tools necessary to be successful. Understanding the basics of converting website traffic into leads will help take the stress out of online marketing for your business. 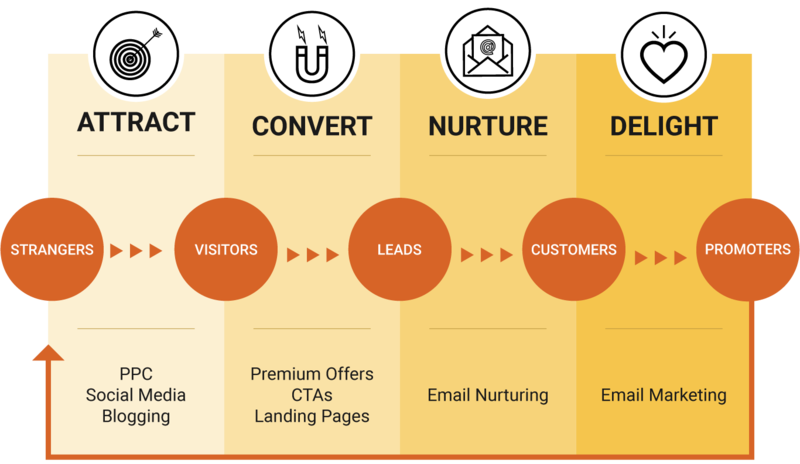 When you create a lead capture system, offer value, and improve your sales process, you'll attract and retain more of the right prospects to your website, and then convert them to paying customers. Sure, it's important how many people visit your website. But it's even more important how many become customers.